Kennedy Town is not an area I logically visit often since I live on the other side of Hong Kong, beyond even the “dark side”. But this place is now blessed with a conveniently close by MTR station and a proliferation of new restaurants. Way ahead of me, were the guys at iPick who organised a genius Kennedy Town Food Tour with Foodie magazine. 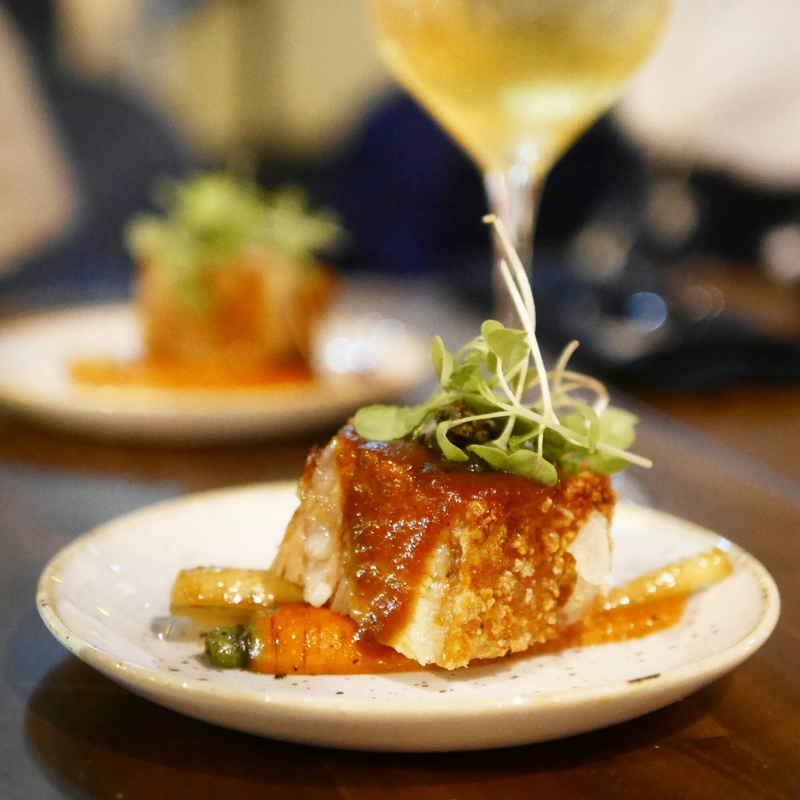 We sampled dishes across various restaurants in the area, and overnight spawned just as many reasons to visit Kennedy Town! 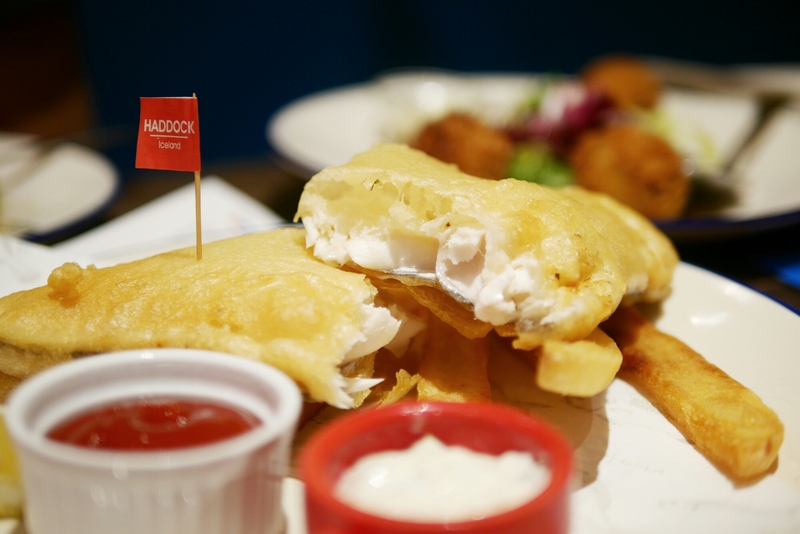 Fish & Chick is perfect if you’re in a group of 3-4 people and are looking for something casual. Their food is honest and delicious, while portions are quite generous too. 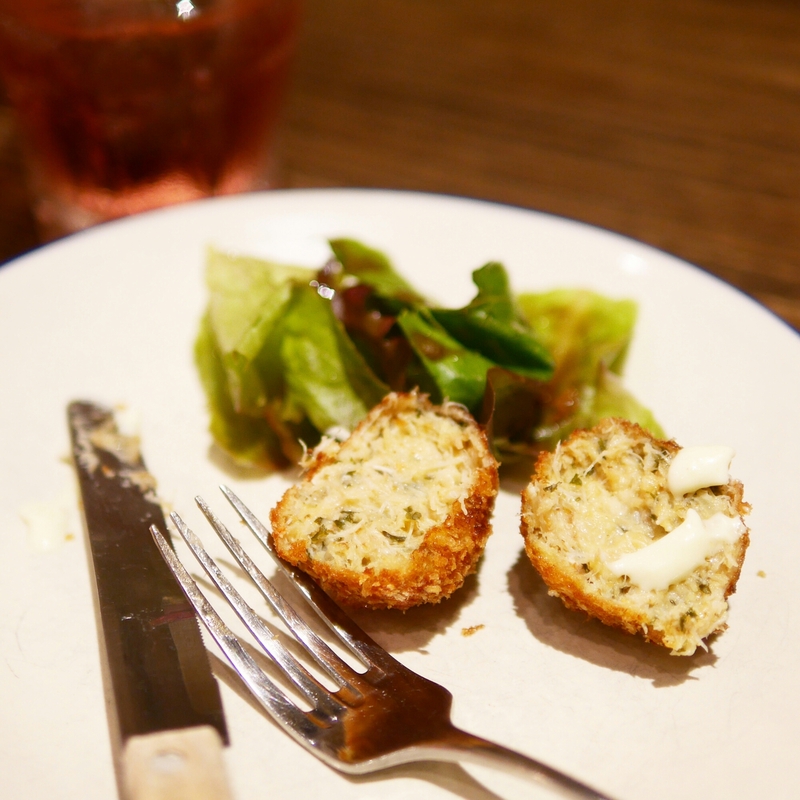 We tried their crab croquettes salad, which had a thin crusty edge and very crabby interior. The roasted chicken and fish and chips were both super juicy – impossible to choose a favourite as they were all cooked extremely well! Bistro du Vin is one of those places people will only commend and praise – something well deserved, as documented in my review a while back. It’s not fine dining type of fancy, but for something a little nicer and formal in the area, this French bistro is a more-than-excellent choice. We sampled their pigeon sous vide, which as always, was executed to perfection. 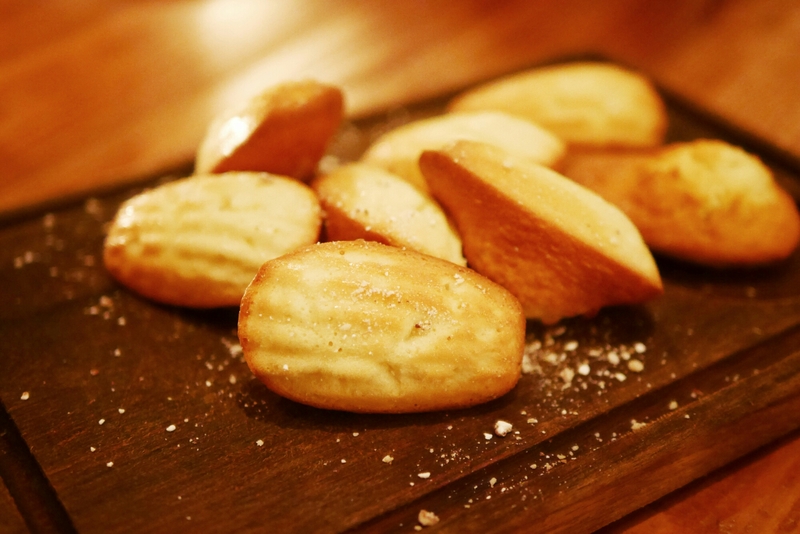 Plus, I just discovered that they make heavenly good freshly baked madeleines too! Sunday’s Grocery are known for their “sando”s (sandwiches… because I really asked what they were! Oops) but the only downside is that they don’t actually have a proper seating area; it’s more of a takeaway, on the go type shop. We had the chicken one which was served on a really delicious piece of brioche bread. 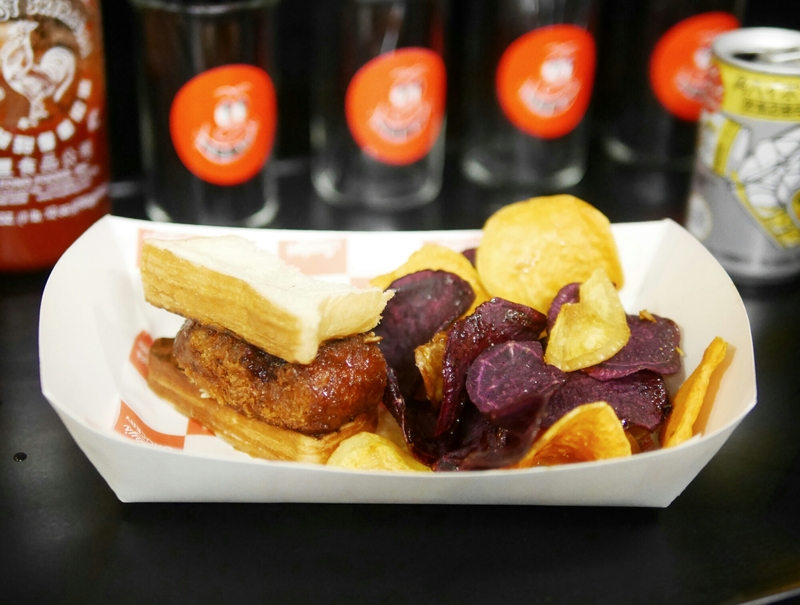 The sweet potato chips on the side were also addictively good. They also sell a wide range of interesting products here, including lots of Japanese whiskies. I loved the interior and vibe of this restaurant – it’s perfect for small or larger group gatherings and the menu fits well into that setting too. The pork belly was delicious but the sticky toffee pudding is something I demand you save your stomach for! Well on the food tour, we had eaten over 10 dishes and still managed to stomach this at the end of it all! It’s super tasty and not overly sweet too. This was not part of our iPick tour but it’s a great choice in Kennedy Town I recently discovered. They serve a range of different comfort dishes with waffles on top but their coffees are surprisingly amazing and definitely worth trying. 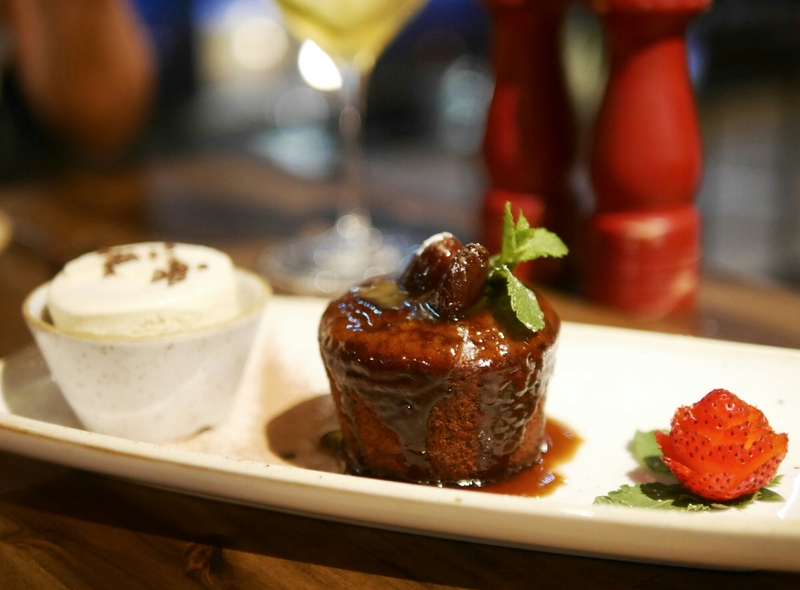 It’s a great place for a casual catch up session over coffee or dessert to end the night! Read the full review here.